A reader asked me if there was any connection between two meanings of the root גור - "to dwell" and "to fear". As you might imagine, it depends who you ask. גור meaning "to sojourn, dwell". From here we get the words ger גר (biblically a stranger, in rabbinic and later Hebrew a convert), and migurim מגורים - "residence." He finds cognates in the Arabic jawara (=was the neighbor of) and giwar (= neighborhood). He writes that "the original meaning of this base probably was 'to turn off, leave the way', whence 'to be a stranger, to sojourn.'". גור meaning "to fear". Klein writes that this is a secondary form of the root יגר, which is cognate to the Arabic wajira (=he feared). Derivatives of this root include magor מגור and migora מגורה - both meaning "fear, terror". גור meaning "to attack." Klein finds another Arabic cognate - jara'al (=he acted wrongfully against) and says it is possible related to the base גרה meaning "to excite, provoke, irritate, tease, incite, stir up.". This is the origin of the word גרוי gerui - "irritation". גור - gur: this last meaning is a noun - "cub, whelp". It has cognates in a number of Semitic languages, including Arabic jarw, jirw and Akkadian gerru - both meaning "whelp." So it seems that Klein does not find any connections. Gesenius, on the other hand, does find ways to connect them. Like Klein, he says that the original meaning of גור was "to turn aside from the way." But he manages to see that root in many of the meanings. He writes that גור is cognate to זור - which Klein also defines as "turn aside, be a stranger" (and is the origin of zar זר - "stranger" and muzar מוזר - "strange".) However, Klein doesn't connect גור and זור, but rather writes that זור is connected to סור - which also means "to turn aside." In any case, back to Gesenius. The sense "to sojourn, dwell" originally meant "to tarry anywhere, as a sojourner and a stranger." Regarding "fear", he writes "this signification is taken from that of turning aside, since one who is timid and fearful of another, goes out of the way and turns aside from him.". And he provides two theories as to gur meaning "whelp". One is from a separate root meaning "a suckling", but a second theory says it is "so called as still sojourning under the care of its mother." (He does not connect the sense "to attack" to this common root). Am עם: This is by far the most common biblical word. In his concordance, Even-Shoshan lists 1850 uses! Most of them mean "nation", while a fraction mean "crowd or group", humanity, or a group of animals. Aside from this last definition, they can all be included in the general definition of "people". It's interesting to note that Even-Shoshan has a second, independent entry for am meaning "relative". This is found in phrases where a person is described as being buried with his am, being punished by being cut off from his am, or the relatives for whom a kohen can become ritually impure to bury. Stahl points out (in his Arabic dictionary) that the Arabic cognate 'amm means "father's brother" and that in Hebrew the original meaning was "father", which later expanded to "family, clan" and eventually "nation". He writes that this explains how the two children of Lot were given parallel names - Moav מואב - "from father" and Ben-Ami בן-עמי - "the son of my father". Klein writes that both the meaning "people" and "kinsman" derive from the root עמם - "to join, connect", from where we also get the word im עם meaning "with". In Modern Hebrew, am has more of an ethnic, and less of a political sense. Am Yisrael, the nation or people of Israel, is not limited to citizens of a particular nation-state. Goy גוי: In the Tanach, goy also appears frequently (556 times) meaning "nation" (like am it has a couple of appearances meaning a pack of animals). Klein says that it is of uncertain etymology, and is possibly related to gev גו - "body" so originally denoted an ethnic "body". In these occasions goy is often used to refer to Israel (either individually, or as a member of the greater set of world nations). Only in post-biblical Hebrew did goy take on the meaning of "non-Jew" or "Gentile." Radak writes that the reason goy became the term for a non-Jew was because in Talmudic times it was unclear which Biblical nation non-Jewish individuals originated from, so the generic goy, nation, was used. During the exile, and particularly in Yiddish, the word goy took on a derogatory note, and so today there are more polite alternatives to refer to a non-Jew. In English there is "gentile" (although somewhat archaic) and in Hebrew a better word is nochri נכרי. Leom לאום: Leom appears far less frequently in the Tanach than the previous two terms - it is found 35 times (and is spelled there without the vav - לאם). Klein doesn't offer an etymology, but finds cognates in the Akkadian li'mu, limu - "thousand", Ugaritic l'm - "people, crowd" and Arabic la'ama - "he gathered together, assembled". Since it did not have the frequency and weight of am or goy, it was available in modern Hebrew for the new terms related to the modern nation-state and nationalism. Perhaps this usage was influenced by the Talmudic passage in Avoda Zara 2b where a midrash states that אין לאום אלא מלכות - leom always means a kingdom. In Modern Hebrew we find the word used most frequently in the adjectival form - leumi לאומי - "national": Bank Leumi, Sherut Leumi (national service), Bituach Leumi (national insurance), etc. The noun has migrated to the meaning "nationality", as can be found on identity cards. Uma אומה: This is the most infrequent of the four terms in biblical Hebrew. 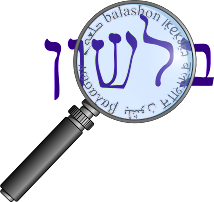 It only appears three times, always in the plural - umot אומות in Bereshit 25:16 and Bamidbar 25:15, and umim אומים in Tehilim 117:1. The singular is therefore unattested in the Biblical text, but the assumption is that the male and female forms are om אום and uma אומה. Klein isn't sure about the etymology, saying that it is cognate with similar words in other Semitic languages, like the Arabic 'ummah (which actually is more of a religious group, and so the religious leader is the related imam). In Modern Hebrew it is used for "nation" in cases where neither medina מדינה - "state" nor am are appropriate (and again, leom is generally reserved for adjectives). So an address to the nation will be a נאום לאומה neum leuma and the United Nations are אומות מאוחדות umot meuchadot (generally abbreviated to או"ם um).